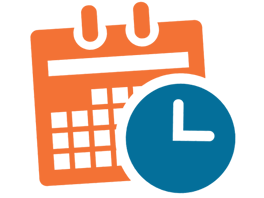 Special Tours and other times available by appointment. Hours subject to change without notice. One of the most interesting things about the Gloucester Museum of History is the building itself that houses Gloucester’s artifacts. 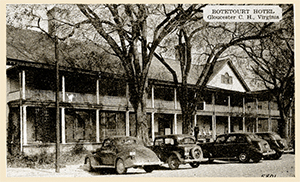 The Botetourt Building, formerly the Botetourt Hotel, was built in 1770 as a roadside tavern or ordinary and was known as John New’s Ordinary. Colonial Gloucester County records of 1802 show the owner as Phillip Tabb of Toddsbury. It is one of the largest, as well as one of the few brick taverns surviving from the pre-Revolutionary period. The building is said to have been named for Lord Botetourt Norborne Berkeley, Baron of Botetourt, sent from Gloucester, England to be Governor of Virginia. Sisters, Misses Emily and Ada Cox, assumed operation of the hotel in 1906 and served local residents and travelers in grand style. They purchased it in 1915 and began renovations which brought many changes to the building. In 1965, the County purchased the building, restored it to its eighteenth century appearance and renamed it the Botetourt Administration Building. In 1971, the county received the first Association for the Preservation of Virginia Antiquities Award for Historic Preservation for restoring and finding a functional use for the building. Many millennia ago the Gloucester area was part of the sea, teaming with marine life. 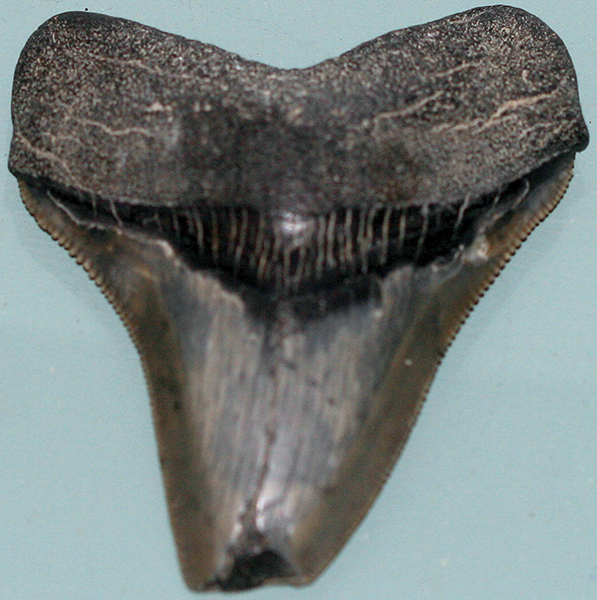 There are displays featuring giant shark’s teeth, clams, scallops and even a prehistoric whale vertebrae. Such fossils are frequent finds throughout the county to the delight of school kids, scavengers and professional archaeologists alike. Fast forward a few more thousand years and one discovers a treasure trove of Native American Indian artifacts. Archaeological excavations have revealed a major settlement dating to the Late Woodland/Contact periods (ca. A.D. 800-1609), the most intensive period of occupation here and representing the actual settlement of Werowocomoco, the capital of the Powhatan chiefdom over which Powhatan ruled. With a population of 15,000 or more persons, from the perspective of economic, social, political, and religious institutions, the Powhatan chiefdom was likely the most complex Native American society in eastern North America during the early 17th century. Werowocomoco was also the site where John Smith encountered Pocahontas. Gloucester County in colonial times became the wealthiest region in Virginia due to the cultivation of golden tobacco leaves. The southern point at the mouth of the York River saw the first wharf built for exports and imports to what was to become Gloucestertown. John Page became Virginia’s 1st Governor, and Rosewell, Virginia’s 1st plantation became the governor’s mansion. 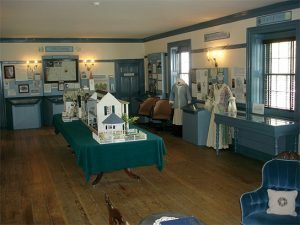 A wide variety of colonial items and exhibits are on display in the museum upstairs. The Battle of the Hook that took place near Gloucester Point was truly a turning point in the American Revolution. The museum features an extensive exhibit of this event. When General Cornwallis occupied Yorktown in September 1781 he dispatched a portion of his troops under the command of Col. Banastre Tarleton to occupy and fortify Gloucester Point. Their mission was to secure the British Army’s flank, protect a possible escape route, and forage for food and supplies. General Washington and his French allies recognized the importance of this area to the ensuing siege and sent a force to block the British in Gloucester. This Allied force of Virginia militia, and French forces was the largest cavalry battle of the war and Tarleton’s defeat at the Battle of the Hook was instrumental in the surrender of General Cornwallis and the British forces 16 days in Yorktown. Gloucester was of strategic importance during the American Civil War. Although there were no major battles here, the fort at Gloucester Point was an asset for both Confederate and Union troops. James Daniel Gardner was a black Union Officer and the only Gloucester citizen to have ever been awarded the Congressional Medal of Honor. His uniform is proudly on display along with his complete story of bravery. The basement of the Gloucester Museum of History is a treasure trove just waiting for your discovery! 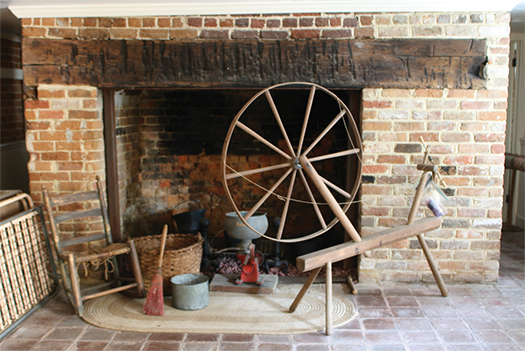 The incredible hearth pictured below performed as the kitchen for the tavern guests above during the 18th century. From items of whimsy, to antique kitchen appliances, and farming equipment of yesterday, where else can the entire family find fascinating items of different interests all under one historic roof?